The Department of Business Administration of the Technological Educational Institute (T.E.I.) of Epirus, which was founded in the academic year 2013 under the Presidential Decree (P.D.) 84/3/6/2013, belongs to the School of Management and Economics. The Department of Applied Foreign Languages in Management and Commerce and the Department of Hospitality Management merged in September 2013 and gave birth to the new department. The Department of Business Administration aims to promote the development and dissemination of knowledge in the field of Business Administration with an emphasis on the dimension of Management in Tourism and Hospitality Business, as well as in the field of inter-lingual and inter-cultural communication in this area, both by means of teaching and of applied research. The Department of Business Administration of the T.E.I. 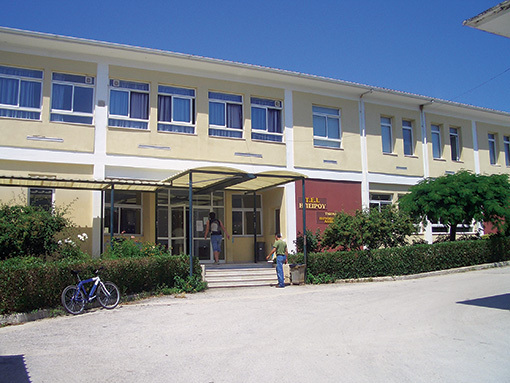 of Epirus is the only department in Greece offering high-quality education both in business administration and in foreign languages. The overall educational aim of the Department is defined by the sum of the aims of the departments merged at the end of to the academic year 2012-2013: contribute to social progress and economic development at a local, regional and national level. A) the teaching of at least two foreign languages (English, German, French, Italian and Russian) in tandem with teaching in areas like administration, economy and commerce. A) to offer soundly structured studies in the fields of tourism and hospitality management. B) to upgrade the quality of training in the field. C) to train professionals for the tourism and hospitality business. B) The department graduates of the study track in Business Administration who choose the directions of Business Administration or Applied Foreign Languages in Management and Economics, upon the award of their undergraduate degree can seek employment either as executives in businesses and in organizations or independently in positions that require extensive use of specialized foreign language knowledge and skills in the field of private or state business administration.